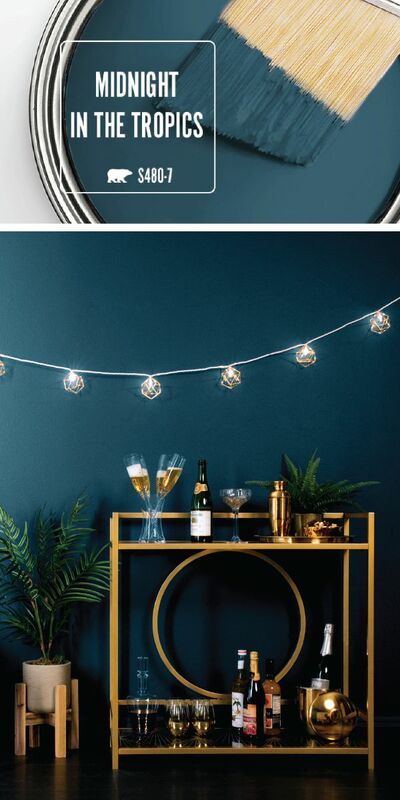 Kick 2018 off on a stylish note with the dark blue hue of Midnight In The Tropics by BEHR Paint. This deep shade of navy adds a bold, sophisticated style to the interior design of your home. A retro gold bar cart and string lights are all you need to recreate this elegant New Year’s Eve party set-up in your living room. Check out the full article for more home decor inspiration.